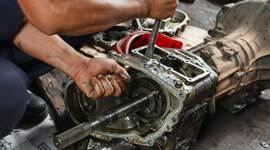 Johnston’s Automotive is pleased to conduct quality engine repair. Phoenix AZ has been our home since 1989. 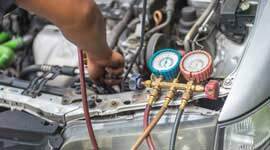 Johnston’s Automotive has built its business on the ethic of comfort and quality in all aspects; we understand that you need a mechanic shop that you can trust to get work done quickly and correctly, so you can get back to your daily schedule. Our facility is equipped with 8 bays to ensure that no matter what your vehicle issues are, we can get you fixed up in short order. Johnston’s Automotive is equipped with an in-house machine shop to provide you with a complete automotive repair facility. 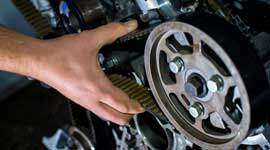 When it comes to overhauling or rebuilding your vehicle engine, it is possible that you may require a special part to get the job done. Many automotive mechanic shops are forced to parcel out their more difficult work to us because we have this capability. Skipping the middle man can decrease the cost of these procedures and save you money. Johnston’s Automotive is a NAPA AutoCare Facility. 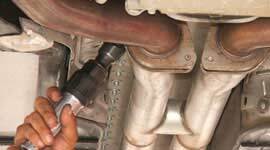 This means that we only use ASE certified technicians in all work performed on your vehicle. Additionally, we provide you access to the NAPA “Peace of Mind” warranty. This warranty is good for 24,000 miles or 24 months and is recognized by over 12 thousand shops across the nation. This is just another way we make sure that your investment is protected, no matter what. 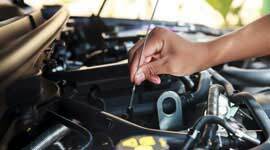 We are able to service almost any imported or domestic vehicle, so have no fear if your vehicle is a little exotic, we can take care of you. Our waiting room is designed for your comfort. Whether you are just coming in for an oil change or showing up a little early to pick up your vehicle. We invite you to sit back and relax while we take care of the hard stuff. Our employees are knowledgeable, polite and willing to answer your questions. We are proud to be Better Business Bureau accredited! We have worked hard for many years to prove our integrity as a business. Our A+ rating is based on the length of time we have been open, and the fact that we have yet to receive a single complaint because of our work. Because of our honesty and precision, we have heard recommendations come back from automotive dealers! We take this as a compliment of the highest degree and will work hard to earn your trust as a customer for life. 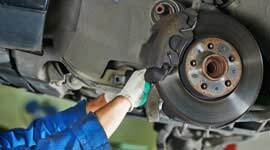 Brakes are the foremost safety feature of your vehicle, it is extremely important to keep them in good condition. 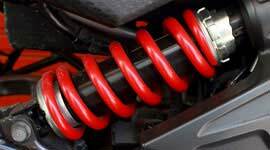 Your car suspension is primarily in charge of ensuring the stability and ease of steering your vehicle. Maintaining your radiator can easily save you the trouble and the expense of an avoidable engine repair. 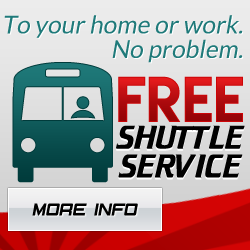 Let us deal with your Air Conditioning maintenance and you’ll be riding comfortably all year. 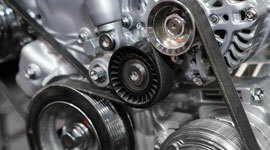 Replace the timing belt well before it hits the 90,000 mile mark to best preserve the health of your vehicle. Let us be the ones to ensure that your driving experience is rewarding and pleasurable when you leave our shop. 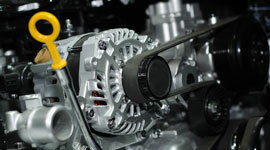 Belt and Hose Repair is one of the mainstays of automotive repair, and we are seasoned veterans of the industry. 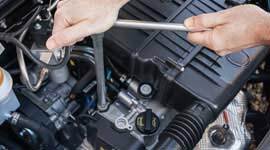 Quick action can resolve an engine problem before a major engine breakdown occurs on your vehicle. 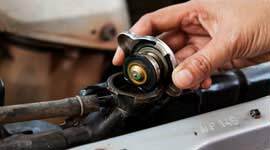 We are of the mind that transmission repair can be staved off for quite a long time with the proper precautions. We work quickly to diagnose and repair any of the problems that arise from an active check engine light. Paying attention to early warning signs, gives you have a much better chance of stopping a real problem. We work hard to ensure that your vehicle is brought back to factory specifications quickly and with the least cost to you. 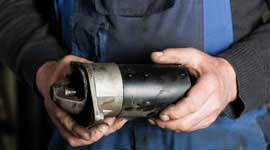 We excel in troubleshooting your emissions problems and providing quick, affordable solutions for emissions failures. One of the most impactful types of repairs happens when we address Starter System replacement.